WARSAW, Poland The high euro, falling sales, but some export growth in 2008 overall not a very optimistic picture for the Polish market. Domestic sales last year were 96.4% of those of 2007, which was a very bad year. WARSAW, Poland – The high euro, falling sales, but some export growth in 2008 – overall not a very optimistic picture for the Polish market. Domestic sales last year were 96.4% of those of 2007, which was a very bad year. 2008 ended with 684,000 units sold vs. 709,000 units in 2007. The trend towards a flattening of sales through the year became even more pronounced than in previous years – perhaps because of weather conditions or the general market situation. 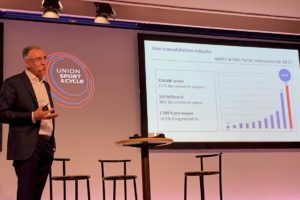 In the past, annual sales charts in Poland looked like a camel with two humps, so one may ask the question – did cycling become a year-round activity, or is the bulk of purchases in spring and September missing? Looking more carefully at the data, it looks as if cycling has indeed become a more year-round activity, and observations on the streets in Polish cities support this claim. In 2007, the highest sales were recorded in April (203,000 units), but in 2008, the highest scores were achieved in March (185,000 units). The differences between neighbouring months in the first half of the year have become smaller, but appeared visibly worse in the second half of the year. 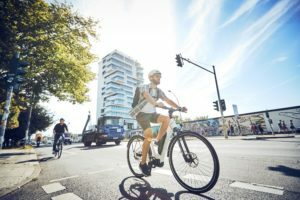 Poland’s bike market situation reflects the general economic situation – the zloty’s decline against the euro and US dollar in the second half of the year was apparent in the bike sales figures. 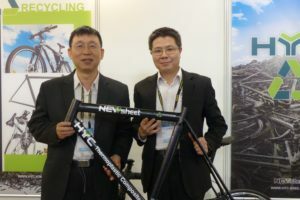 On the other hand, many of the potential consumers of bikes – those aged between 21 and 35 years are working in other countries. 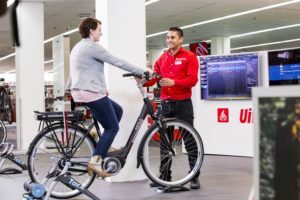 The drop in low-end bike sales is also caused by the popularity of relatively cheap powered scooters bought as personal transportation vehicles in small towns and villages. The sales of the scooters to 49cc increased in 2008 by 30%. Some importers have had to significantly increase their prices (this tendency increased even more in 2009). An exception is Giant Polska, according to President Maciej Lepieszkiewicz. 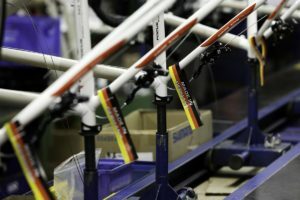 Prices of Giant bikes increased 5%, while other importers have to increase their prices from dozen up to even 20%. Prices of components for the aftermarket increased even more than bikes, parts prices went up by 20 to 30%. The decline of the Polish currency against the euro and the dollar contributed heavily to the price increases. In the year to September Poland exported 792,422 bikes – slightly more than in 2007. The increase of exports was connected with higher production. Production in the first four months of 2008 was higher than the same period in 2007, but there was a relative drop in later months. Total production in 2008 exceeded 2007 (1,116,000 pieces in 2007 vs. approx. 1,150,000 in 2008). It did not reach the 1,200,000 units manufactured in 2006, but there is an upward tendency, helped by the stronger euro. There are slightly different opinions about the data – according to the Bureau of Statistics, production to September equalled 900,000 units, while a survey by the Ministry of Economy claims that 907,000 bikes were produced. It’s probably a question of methodology. Imports to September totalled 456,469 units, far exceeding the 340,000 bikes imported in the same period in 2007. In general, the picture of the bike market in Poland is not very bright, but there is still plenty of potential.